You must make reservations at least 5 minutes in advance of the time at Aba. Street parking is available, in addition to garage and valet. 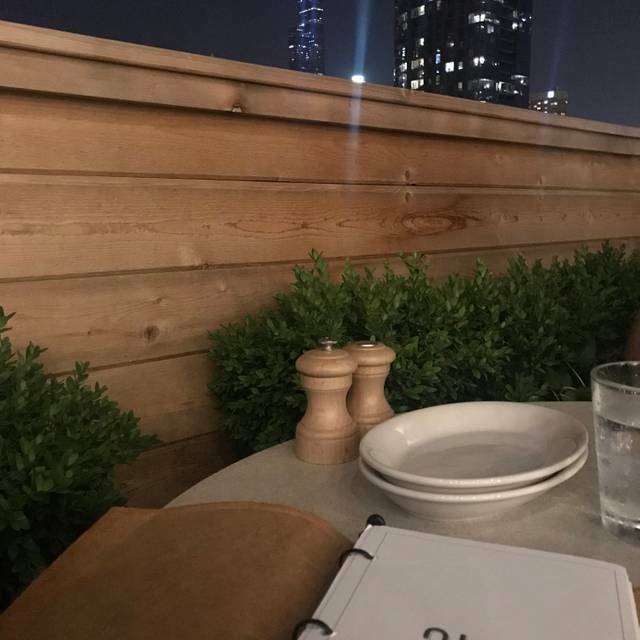 Aba is a Mediterranean restaurant with a rooftop patio located in Chicago's historic Fulton Market District. 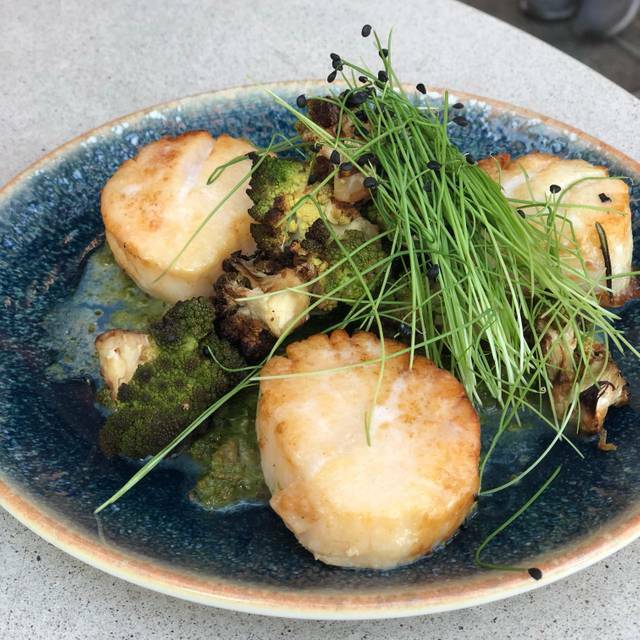 This is Chef CJ Jacobson’s second restaurant with Lettuce Entertain You, and is an extension of Ema (mother in Hebrew) in River North. Aba, meaning father in Hebrew, incorporates a light style of cooking with a large emphasis on raw and cooked protein. The bar program is crafted by Lead Mixologist Liz Pearce and showcases rare Mediterranean-inspired wines and spirits. Please note that outdoor seating is first come first serve, is not available for reservations and is weather permitting. On top of all the talking, music was playing too. Very loud! Hard to have a conversation. Hi, this was a fabulous experience. My only comment is in relation to the reservation process. We told them that we were celebrating a birthday, we had a reservation, yet when we arrived we were led to a table in the bar area. (?) We asked to be re-seated in the main dining area and were put in a nice corner, but still not in the main atrium. So they need to be clear when people call in for reservations about where they will be seated. Otherwise food/ambiance wonderful. The first time I dined at Aba I considered it the finest dining experience of my life. Each time I returned I have enjoyed it even more. I can not recommend it more highly. Birthday dinner - was great! The food was delicious and filling. The waiter was a bit rude and trying to oversell us on dishes, by recommending 3-5 plates per person for a party of 4. Additionally, it seemed the waiter wanted to get us in and out quickly. One hummus dip and two spreads were more than enough as appetizer. Our main orders were enough to serve as an entree. The cocktail list was a bit pricey. We had been looking forward to our reservation at Aba for weeks. Little did I know it would snow in April on our reservation. The room is lovely, large open space with a warehouse feel that is softened by the lay out of the tables and beatutiful greenery and trees and a skylight. Our server was informative but could have been a little more attentive. I needed to get assistance from another server a couple of times. We have eaten at Ema and really liked the food. Aba is more meat centric but could have more vegetable offerings to pair with or substitute for the meat items. We started with the lamb ragu which was delicious if a little too spicy. The whipped feta was a treat with the house bread. 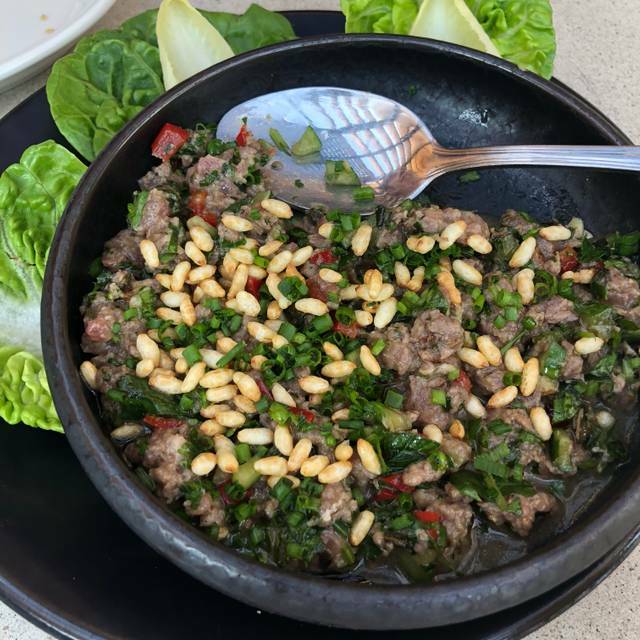 We tried the lamb and meat kefta at our server's suggestion but found it to be dry and flavorless. The brussel sprouts were also a disappointment with too much sweetness from the pomegranate. Loved the atmosphere, preferred the food at Ema. The food was on point, and everything was wonderfully balanced and tasty. The service started out great, but there seemed to be a hiccup during the middle of our visit after placing a second order. We waited half an hour and the wrong dish was brought out. After that, things seemed to get back on track. Server could have been more attentive, but it was a busy Sunday evening. Would definitely give it a second chance, the food and drinks were fantastic. Anbiance is beautiful, food delicious and cocktails are amazing. We will be back for sure! A fun and trendy place but dramatically overpriced. My first time at Aba and it was so fantastic. The eggplant spread, hamachi, Grilled Skirt Steak & Octopus were delicious. It's also one of the prettiest restaurants that I've been to. I would love to go back but it took nearly a month of waiting to get a reservation on a Saturday night. I'll keep trying though. It was worth the wait. The service that we received was exceptional. The food was superb. You could feel the energy of the restaurant as soon as you got off of the elevator. A go to restaurant for any occasion and you will not be disappointed. 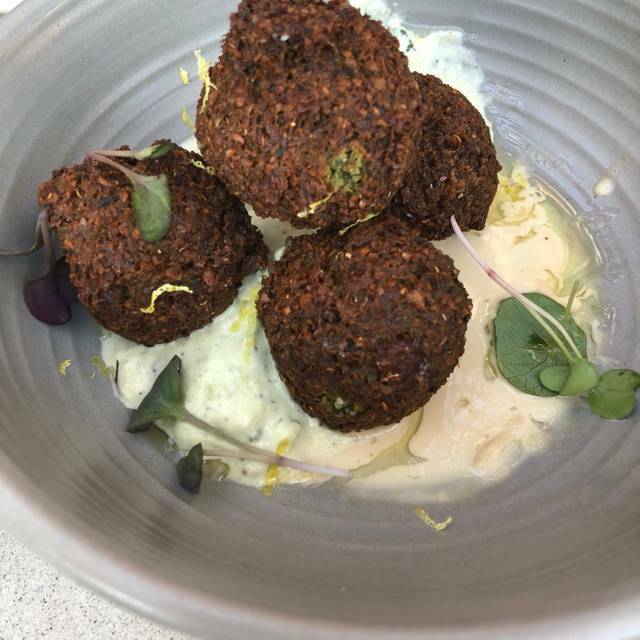 The Crispy Short Rib Hummus was the best! Cool ambience, food seemed not badly priced but the portions were small. Food was good but not the best Mediterranean food I’ve had. Loved the layout and openness of the space. Found the tables to be a little closer to each other than I would have like. This is probably because I personally prefer more space between tables. Plants within provides a nice touch. Service was prompt and nice. Loved the complete menu for Gluten Free items. Overall very good place to visit for special occasion with friends/special someone. Excellent service and they made a birthday celebration that much more special. Great food, especially the short rib hummus and scampi. Theres pita with everything so no short of that. The environment was amazing - not too loud and was beautifully decorated. 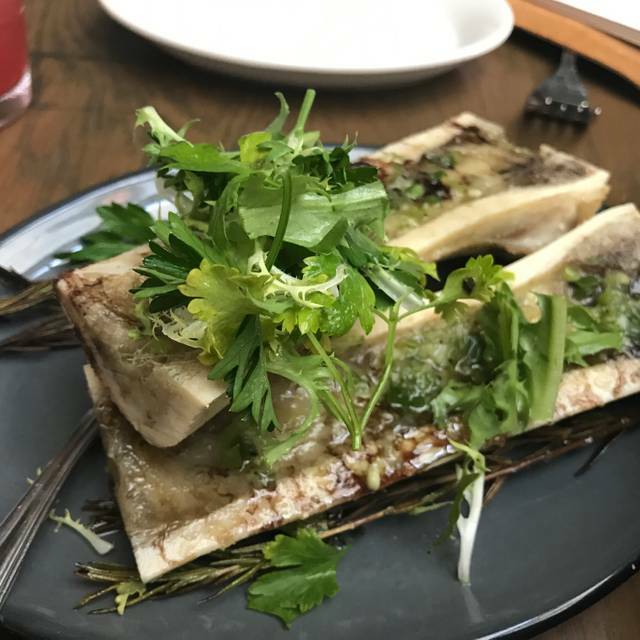 The only reason this fell a little short in my book was service, we were seated about 30 minutes past our reservation and one of the busers kept asking us repeatedly if he could take our plates when we were clearly still eating. Would still recommend though. Fabulous! Can not wait to go back. Highly recommend it! The atmosphere was great and the service was amazing. Everyone was very beyond friendly and the food was amazing. We will definitely be coming back. Some of the best Mediterranean food around. 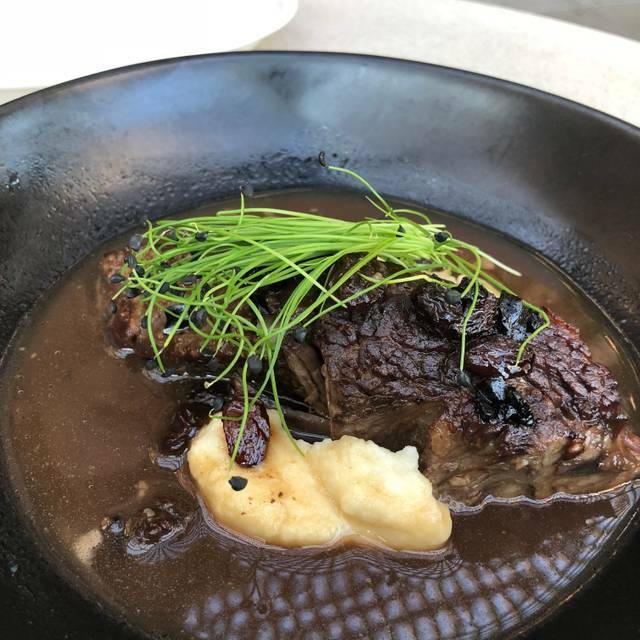 The hummus with short ribs is incredible. 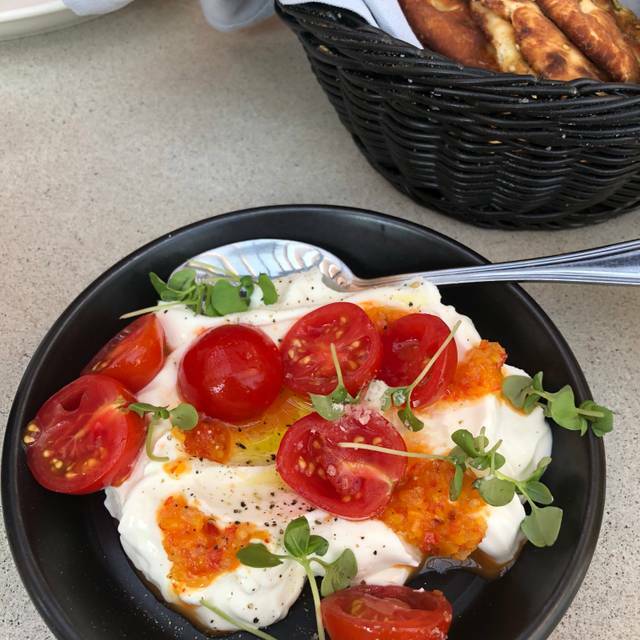 We also enjoyed the whipped feta and the Muhammara, while Muhammara is rather spicy, it was perfect when paired with the whipped feta. The charred lamb chops were wonderfully seasoned and charred to perfection. Finished off our meal with the creme brulee pie accompanied by caramelized apples which was a slice of heaven. Can't wait to return to Aba, I want to try everything on the menu. Definitely a happening place with a very cool vibe. Wry pretty interior and looks like the patio will be really nice. Parking is a hassle and there is a $15 valet if you wait. Signage was poor so we missed it on first go around. Having said all that , the menu was innovative and the dishes we had were delicious. The full plates were small and we probably did not order right. Lamb and beef kabobs were meatballs which we did not expect. Friends had lamb and eggplant which they shared and loved. Olives and feta excellent, village salad excellent, hummus was hummus. Falafel not my favorite and a little too hard. I would go back. Wish the parking was easier and not so costly. Also be prepared to be done in under an hour. Aba was excellent. Seriously the food was amazing—I wish we had gone before. And I already made reservations for another dinner! Great spot. A little loud, but it was Saturday night, so I expected that. Unfortunately we were not able to dine at ABBA - one of us was delayed and we were not able to be seated on time and ABBA was not able to accommodate us. With a later time. Great food and atmosphere - will definitely come back. Absolutely wonderful- going back ASAP and often. Aba is literally a hidden gem, location bit hard to locate. Ambiance is amazing. We had a birthday celebration dinner and everything was very delicious. Love small plates to share. Group was amazed. This was a fantastic experience from the very beginning to the end. What a great time. Beautiful restaurant interior with a great noise level. We had an 8:30 reservation on a Sunday and the restaurant looked perfectly full. Not overcrowded. We had a drink at the bar first and the craft cocktails were great. The male bartender was friendly and offered suggestions for the menu. We were seated at a great table and were happy with the location. Great vibe! Our server was pleasant and very attentive. We ordered the short rib hummus and I’m still thinking about it. Absolutely delicious! Their pita was soft and fresh. We ordered the chicken wings, crispy potatoes, and lamb and beef kebabs. We can’t say enough about the food. We loved how the food came out as it became ready. It spaced out our meal and gave us more time to ooh and ahhh. We had after dinner drinks and never felt rushed to finish. We are from out of town, but when we return to Chicago we will visit Aba! 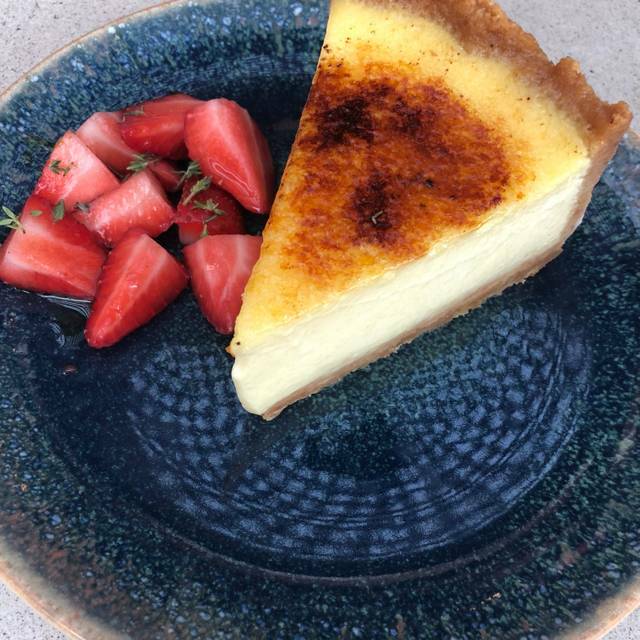 Gorgeous restaurant with amazing food & service! Met a girlfriend for a 4pm Sunday early dinner / late lunch. Amazing food - octopus was incredible and the spreads are all great. The French rose is superb. Highly recommend, perfect for a girls dinner. Not sure my husband would appreciate all the small plates quite as much. I absolutely loved the ambiance- Aba was gorgeous inside! I will definitely be going back just because of that. 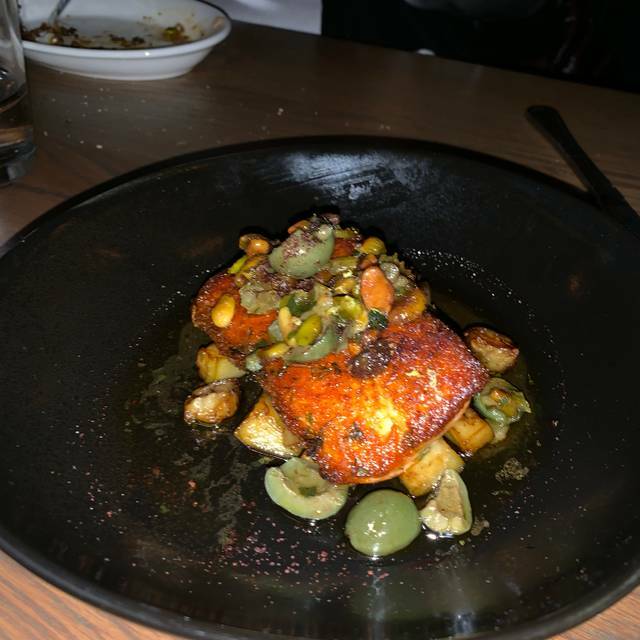 My food was very good, but not great--I felt like there was something off with the taste of the brussels sprouts (too sour or tart) and the crispy potatoes were just a little "too crispy (oxymoron)." The whipped feta spread and the Greek yogurt froyo tasted delicious though! The service we received was AMAZING- our waiter went above and beyond and took his time to provide me with detailed recommendations when I asked for them. Make sure you make a reservation ahead of time (about ten days for peak-times over the weekend). I have already told some friends they need to try Aba! It's worth it =). Aba welcomed my group of eight (8) with a special tone. Our table was set up, ready to go, and so beautiful once we arrived. I had made the reservations stating it was a special occasion and the hostess acknowledged this and congratulated me. I felt so special. My friends ooou’d at the set up and fresh flowers and took pictures of the table before sitting because that is how wonderful the set up was. The food was delicious, on time and coursed out perfectly. A favorite amongst the table we’re all the hummus flavors with the best pita in town. The cocktails were flowing and then before i know it, my favorite dessert, the creme brûlée pie, was at the table and then immediately enjoyed. The ambiance of Aba is magical. I feel so grateful that I was able to enjoy a special dinner with my closest friends at a venue who values this experience. I received messages from all my guests the next day saying how beautiful the dinner was and that they hope I have my next special occasion at Aba again. Aba was by far my favorite restaurant in Chicago. We were visiting from NYC and everything was incredible. The cocktails were amazing- especially because the bartender made whatever I wanted. The wait staff was also really great. We got the crispy short rib hummus which I highly recommend. As well as the bagel, eggplant, mussels, kebobs and amazing chocolate cake! From the moment you exit the elevator and first see the beautifully lit room to the end of dessert, Aba is one of Chicago's best dining experiences. The service was astounding and matched the meal's quality. Favorites were the muhammara dip, lamb chops, and creme brulee pie. Cannot wait for the patio to open up for spring/summer. Really cool place with good food. I definitely recommend going here for a date or fun night out. Overall good time. The whole experience was wonderful. The food was outstanding and we had an attentive server. I will be back to Aba, loved it!